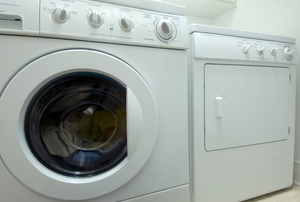 Keep your washing machine safe throughout the winter even when it's not in use by using one of these two methods. 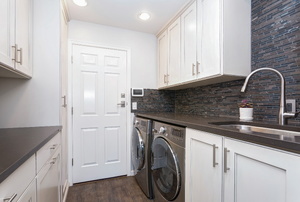 Use inexpensive touches to make your laundry room feel high-end. Any good clothing iron is a sturdy, heavy duty piece of equipment, but even the best appliances need occasional maintenance. Don't throw out that stained top yet! 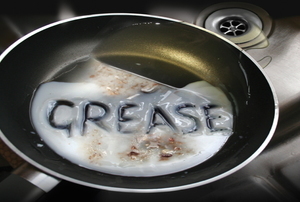 Try using these tips to salvage your clothing from pesky grease. 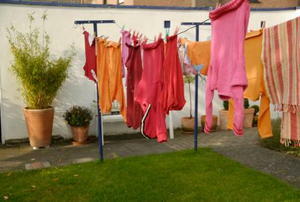 Install a clothesline to dry your clothes naturally—and for free! 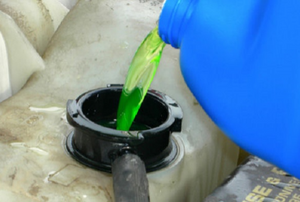 Coolant can leave a colored stain on your clothing so be sure to pre-wash and remove the stain before tossing it in the machine. 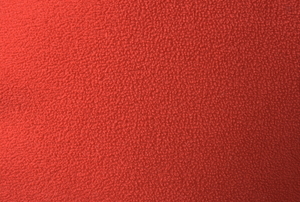 It's true that fleece can melt when ironed, so be sure to use a cooler setting and cover the garment with a cloth. 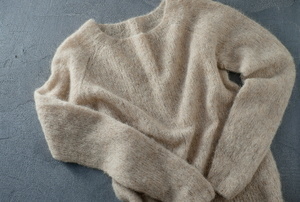 A cashmere sweater is luxuriously soft and expensive. With the discipline of the military, you can clean and press your own Navy whites without taking it to the dry cleaner. 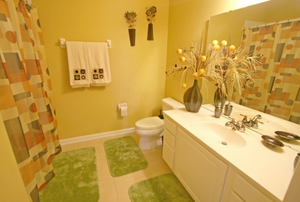 Keep your bath mats mold and mildew free with frequent washings. Make laundry easier with a pulley clothesline. 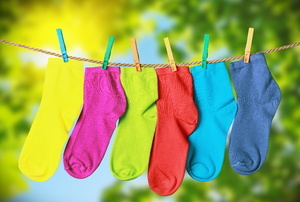 Washing socks is not as simple as dumping them all in the machine and turning it on. 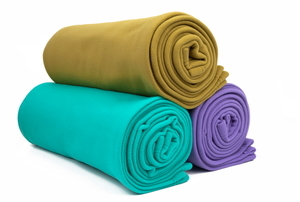 Duvet covers offer protection for your comforter. 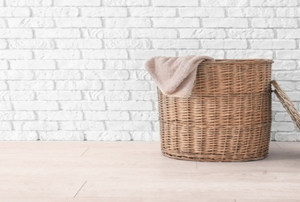 Laundry is a necessity in every home. 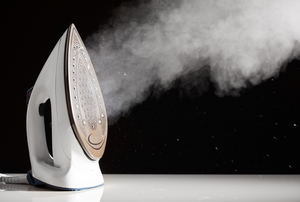 Sometimes a little plastic can go a long way to ruining your iron - and your clothes. You can still salvage the iron with a little bit of elbow grease. 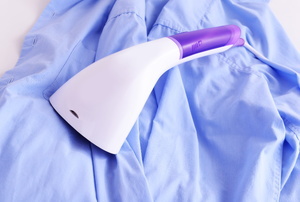 To get the look and feel of clothes that have been dry cleaned, without having to pay a dry cleaner, you might want to have a garment steamer. 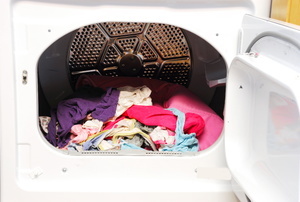 How to clean your dryer. 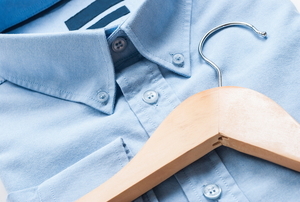 Don't ruin that white shirt, check out these tips on how to properly separate your clothes. 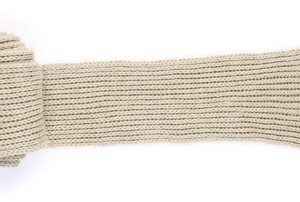 Wool can't go in the washing machine, but all is not lost! Hand washing is still an option. 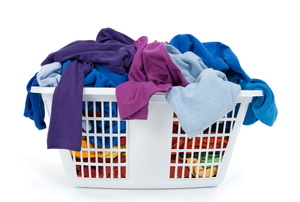 Keep your garments looking great for longer by learning how to properly wash, dry, and iron spandex. 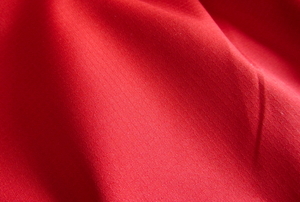 Always make sure to take proper care of your fabrics, including fleece. See what simple fixes exist for problems with this appliance. Clumsiness can easily end with caulk on your clothes. Learn how to get it off instead of throwing the garment away. Don't let candle wax spillage ruin the mood of a romantic evening. Take care of it in the morning with these steps. 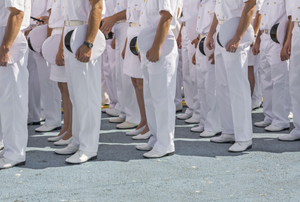 Don't spend extra money on a dry cleaner. 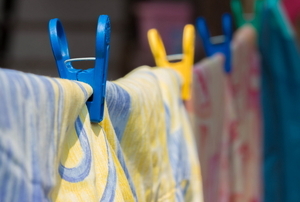 Instead, use these three steps to make your wrinkly delicates look crisp and fresh. 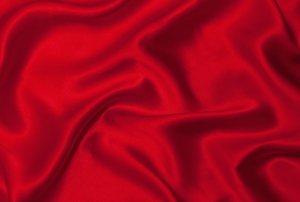 To keep your favorite satin items wrinkle-free, learn to properly iron them at home. 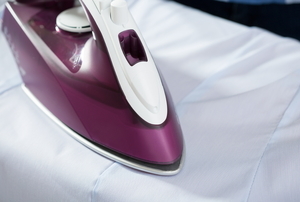 To avoid shiny streaks and spots on your viscose garments, use this guide to learn how to properly iron them. 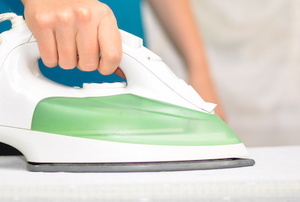 To keep your iron working at its best, you should clean it regularly with these four steps. 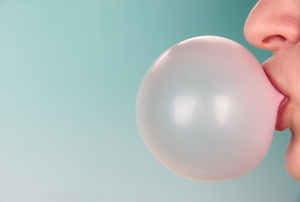 In the event chewing gum gets into your dryer, never fear. There are several methods for removing it. 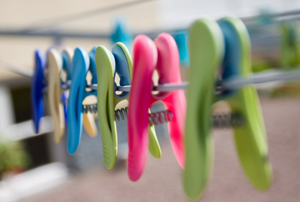 Save a little energy and get a fresh scent in your clothes buy building and installing your own outdoor clothesline. Find out how you can flatten out your movie and music posters the DIY way. 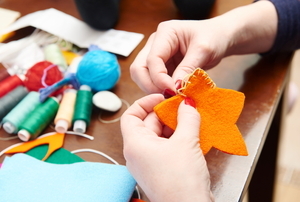 Felt can be tricky to clean, but with these steps, you can wash your fabric with confidence. 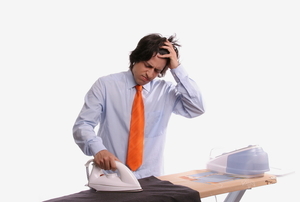 Spare yourself the trip to the dry cleaner and take care of your suit from home. 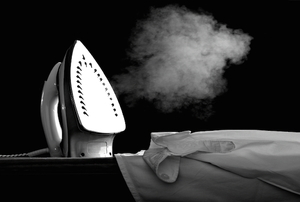 Just make sure you know the best ironing procedure! 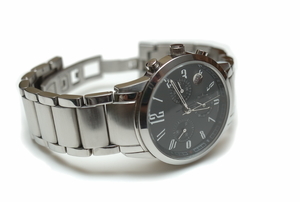 Resize your wrist watch with just a few simple steps. It's not difficult, and you won't damage your watch. 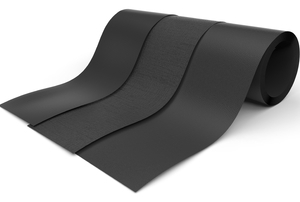 Neoprene is the go-to material for some pretty extreme sports, but it can also get filthy fast. 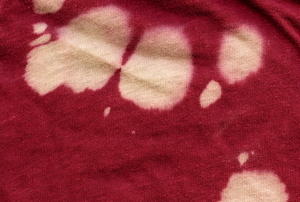 A bleach stain doesn't have to mean the end of your clothing or carpet. Try some of these solutions to see if you can save your fabrics! 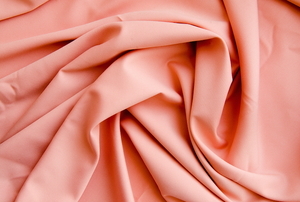 Before you begin learning how to wash satin sheets there are a few things you should know about satin.